When debt becomes seemingly too much to bear, you can easily become confused as to what course of action is best for you and your family. You’ve likely heard of bankruptcy as an option, have no idea if that is a good solution for your circumstances. As a Loveland, Colorado, bankruptcy attorney, I discuss the debt with clients on a daily basis. More often than not, clients tell me the biggest challenge they faced was knowing when it was time to file for bankruptcy, or at least contact an attorney to discuss the option. In an effort to help you identify the proper time to file for bankruptcy, I recently came upon a helpful post from Money Talks News. While you may be focusing on building your budget, targeting debts, and squeezing additional savings by cutting back on shopping and using coupons, you may be spinning your wheels if you don’t have a steady income. If you have a reliable income, debt problems are often solvable without bankruptcy. However, no savings and no prospects for significant future income is a poor sign. Simply put, if you don’t have enough income left after eating and putting a roof over your head to even make minimum payments on your debts, it’s time to speak with a Colorado bankruptcy attorney. 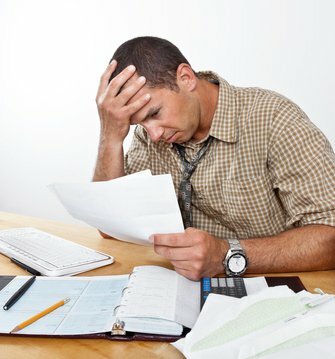 Many people are hesitant to even consider bankruptcy because of a moral obligation to repay their debts. While this is noble, the U.S. government has put bankruptcy laws in place for a reason: sometimes bad things happen to good people, and the last thing you need is to be verbally abused by collections agencies or be made to feel guilty about things that are out of your control. When a credit card or other company loans you money, they understand the risk they are taking. In fact, the interest rate they collect compensates them for it. You do owe your creditors your best efforts to meet your financial obligations, by you certainly do not owe them your health, your life, your sanity, or your self-respect. Bankruptcy is a good option for Coloradans who can’t pay their debts—especially if you have assets to protect, like a house, expensive possessions, or a decent income. Without the protection of bankruptcy, your creditors can file a lawsuit for unpaid debts that could result in a monetary judgment against you. If you are struggling under a large amount of debt, are being harassed by creditors, and simply want your life back, contact an experienced Colorado bankruptcy attorney today to discuss your options.